← Twisted Venom by V.W. Raynes Book Blitz – Win a $25 Amazon Gift Card! 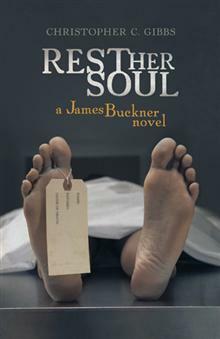 Rest Her Soul by Christopher Gibbs Book Blitz – Win a $25 Amazon Gift Card! It’s 1928, and the presidential election between Herbert Hoover and Al Smith is on everybody’s mind—everyone but Police Chief James Buckner of Corinth, Missouri. A young woman’s corpse has been discovered buried in the cellar wall of a boarding house in the nearby mining village of Taylor. Knowing he’s one of the best detectives they have, Corinth’s officials allow Chief Buckner to investigate. Buckner learns the woman was strangled and then immersed in acid before being buried. Worse, she was pregnant. His investigation takes him to Arkansas and Tennessee, where he realizes he may be on the trail of a serial killer—one who specializes in murdering young prostitutes. But as Buckner closes in on the killer, he knows that coming up with enough evidence for a conviction may be difficult, if not downright impossible. Tragically, no one seems to care about the dead women except Buckner. One thing is for sure: the murderer will kill again. But in this hardboiled world of nasty politics, questionable morals, and ruthless ambition, stopping his prey might exact a price that Buckner isn’t willing to pay. From Missouri backwoods to seedy brothels, Rest Her Soul reveals the dark underbelly of America in the 1920s.